Lagos has long been plagued by periodic flooding that wreaks havoc on day-to-day life, so Nigerian architect Kunle Adeyemi conceived an idea that would allow local communities to live in harmony with nature. 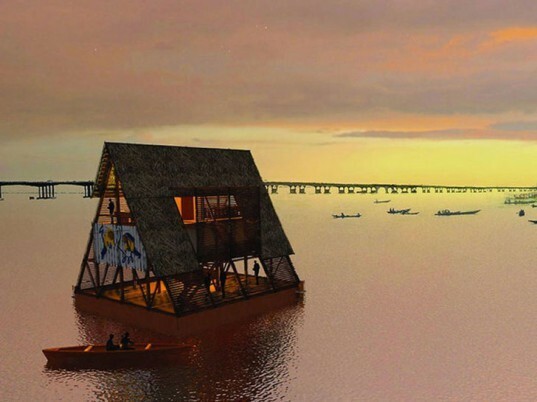 Eschewing the model of placing homes on stilts, Adeyemi proposes to build a floating community complete with modern sanitation, waste disposal and fresh water facilities for up to 250,000 residents. And since everything starts with a good, solid education, his first project involves building a three story school floated on plastic drums.